The latest and therefore greatest era in Southern League history kicked off last night, as the Pensacola Blue Wahoos played the first game of their incipient existence. And while you’d think the team hasn’t been around long enough to have any enemies, you’d be wrong. 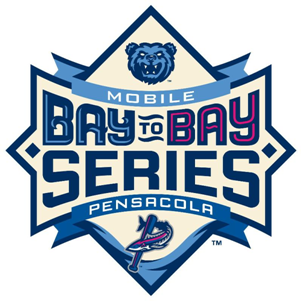 The Mobile BayBears and Pensacola Blue Wahoos are proud to announce their rivalry in the inaugural “Bay to Bay Series.” Fans can expect several rivalry themed events at both ballparks this year, including BayBears fans versus Blue Wahoos fans in-game contests, promotions and series leader boards. The Bay-to-Bay Series is the very first joint-sponsored, event-based rivalry program in Minor League Baseball. Hank Aaron Stadium in Mobile and Maritime Park in Pensacola are just one hour apart from each other. The uber-snazzy logo seen above was designed by Brandiose, who were responsible for both teams’ logos in the first place. I do wonder, however, if Mobile fans are upset that Pensacola is the “home” team while the BayBears are clearly “second”ary. You may remember a recent post in which I heaped praise upon the Charleston RiverDogs for their latest “Be Your Own Fan” initiative, featuring marketing initiatives geared to nine unique groups of fans. 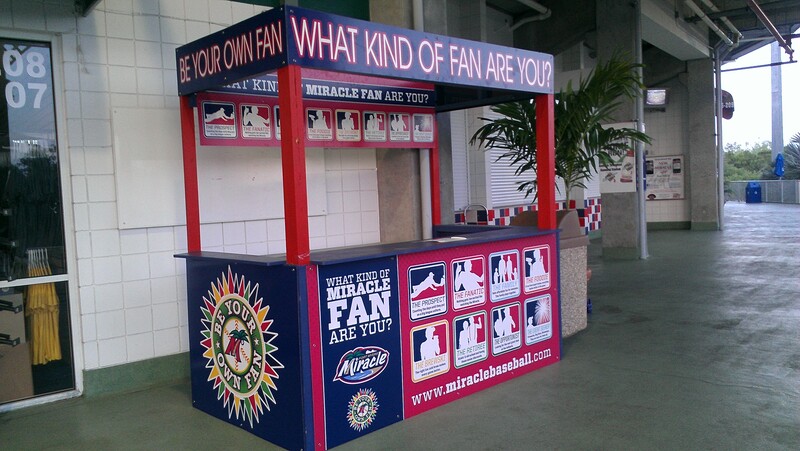 The Fort Myers Miracle, who are part of the same ownership group, have now done the same. And now that it’s a new season, I imagine that you may need something new to read (that reasoning doesn’t really make sense, but just bear with me). 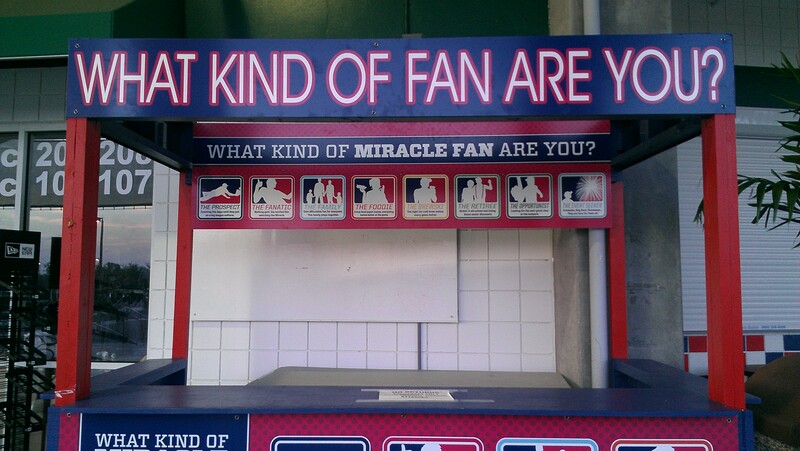 Meanwhile, from Kentucky, we have the what I believe to be the first blog from a Minor League host mother perspective. Check it out, while I sit here and wish that there was a similar program for underachieving bloggers. I’ll close with — what else? — dessert. 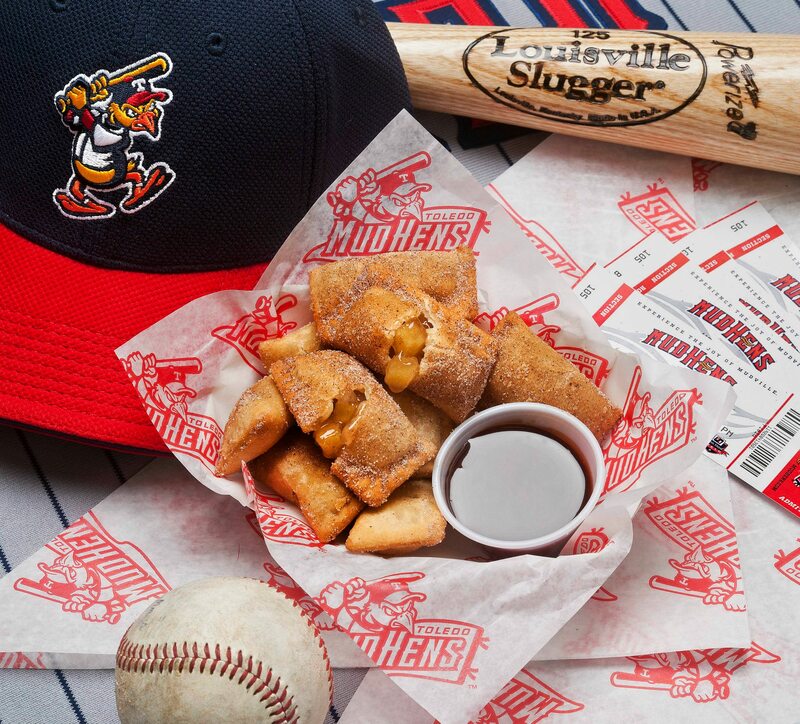 These “Mini Apple Pie Bites” are available for consumption at Toledo Mud Hens games this season. I’m so excited to see my blog “Nothing but Baseball and Apple Pie” featured here. Thanks so much! I wanted there to be a place I could showcase our adopted player’s pictures and updates for the families and fans, and also let people know what its like behind the scenes being part of a MiLB team family… I appreciate your support! Looks like I need to go back to Toledo…yummy. The ‘Bay to Bay’ series is an awesome idea. I really like Hank Aaron Stadium, but he Blue Wahoos is one of the greatest minor league names ever!!! That looks tasty. I might need to get to toledo for the food. Come and see an 11 year old’s view on all things baseball. Great work on the blog. I am always happy to give advice, when I am able, but you’ll need to be a little more specific. Anything in particular you want to know?